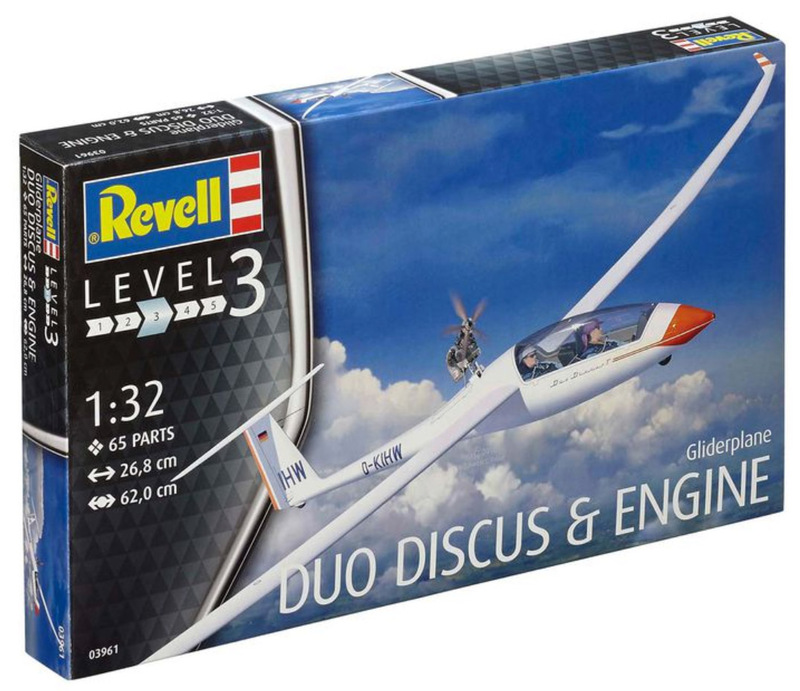 Revell is known for their very high quality plastic model kits. 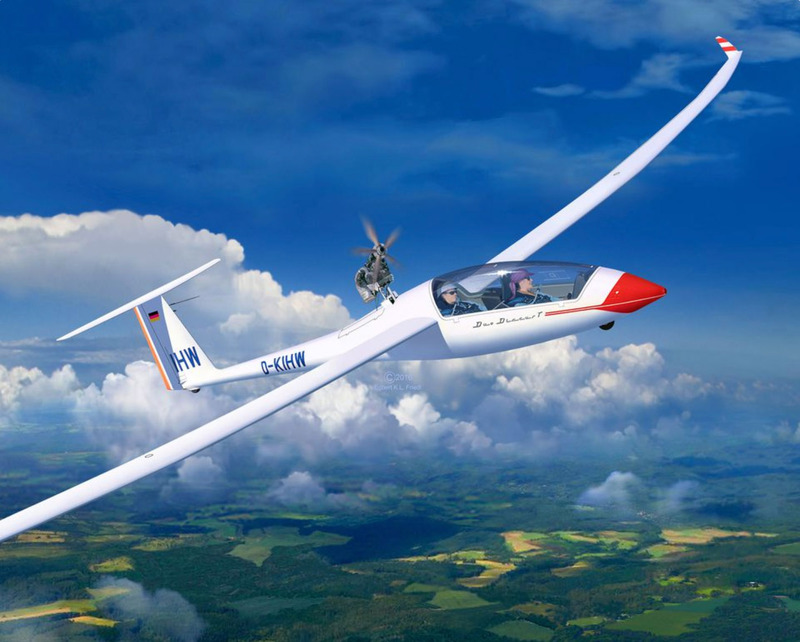 They make the largest and most detailed model glider and towplane kits available. 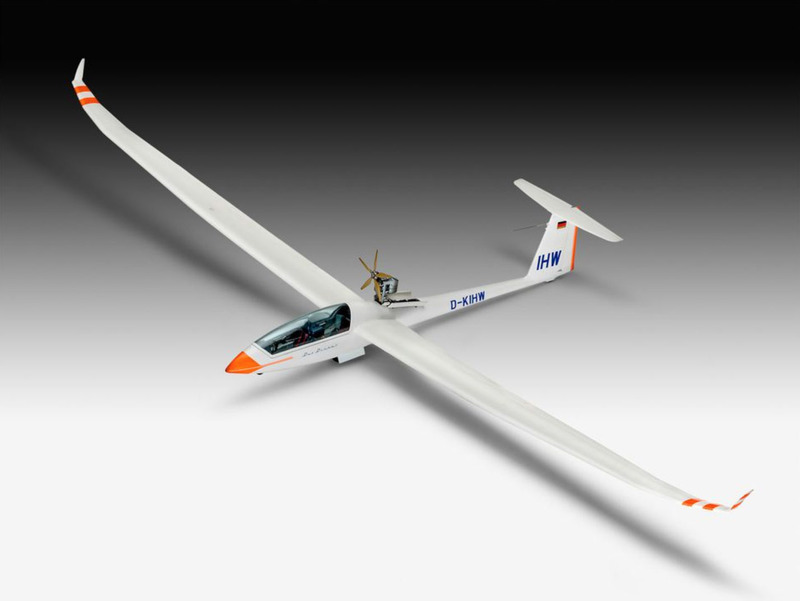 If you have ever built a plastic kit, it was probably an injection-molded one. The parts are formed in polystyrene plastic that are attached to frames known as sprues. After removing the parts from the sprues, you put the kit together as a three-dimensional puzzle, helped by detailed instructions. Plastic parts are glued together with plastic cements such as the tried-and-true tube glue, liquid cements, superglues, or epoxies. 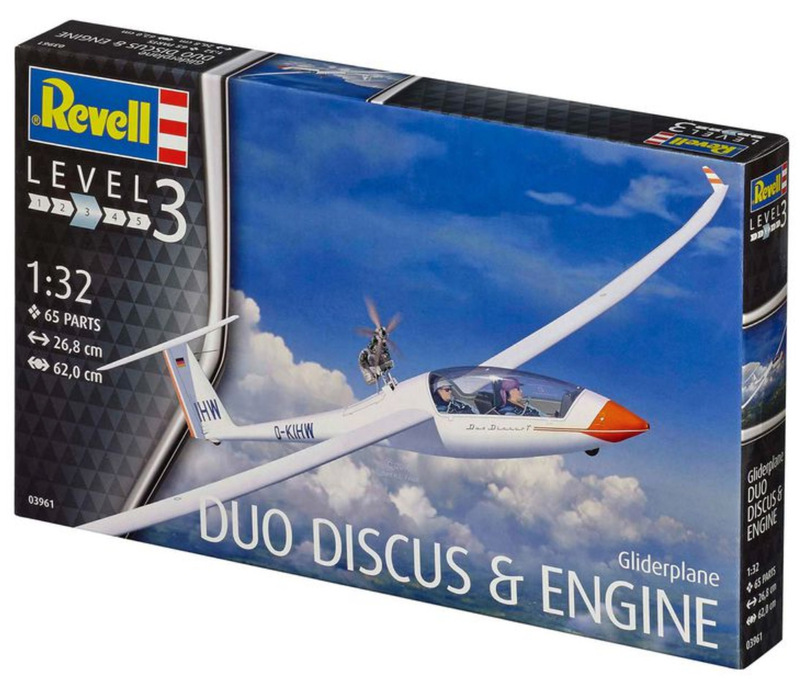 The Revell and Profiline model kits on this page are Plastic Injection Molded Kits. 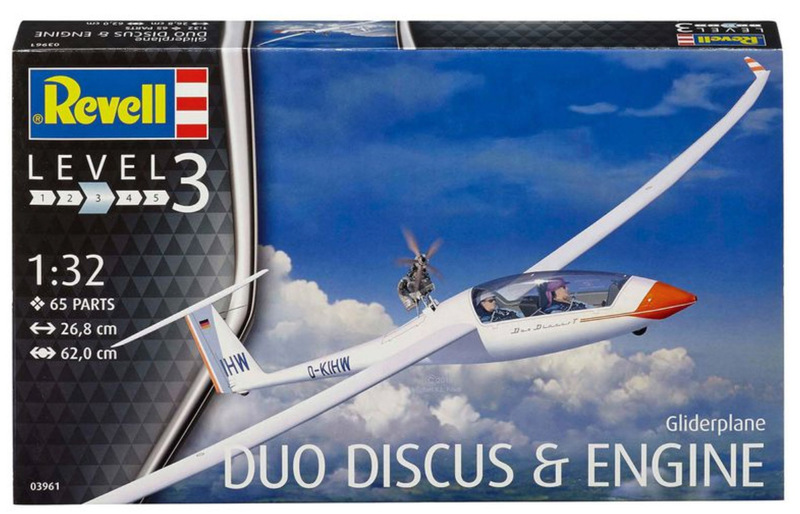 Note that these kits offer the highest quality, lowest price, and they are the easiest to build. 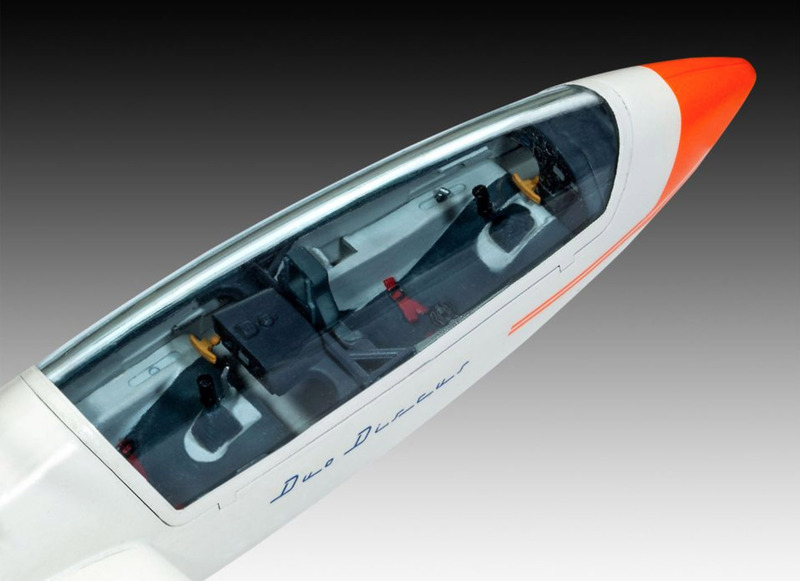 Model replica of the Duo DiscusT (Turbo), one of the most popular two-seater gliders. 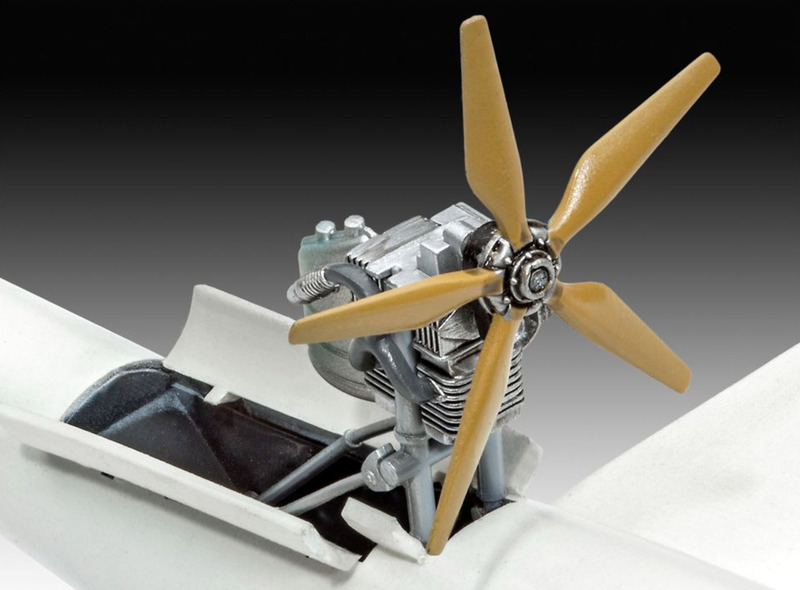 An additional auxiliary motor provides optimum help when returning home.